I have splurged again and got more OPI shades. Mermaids Tears and Planks Alot. Surprise surprise, I love them both! 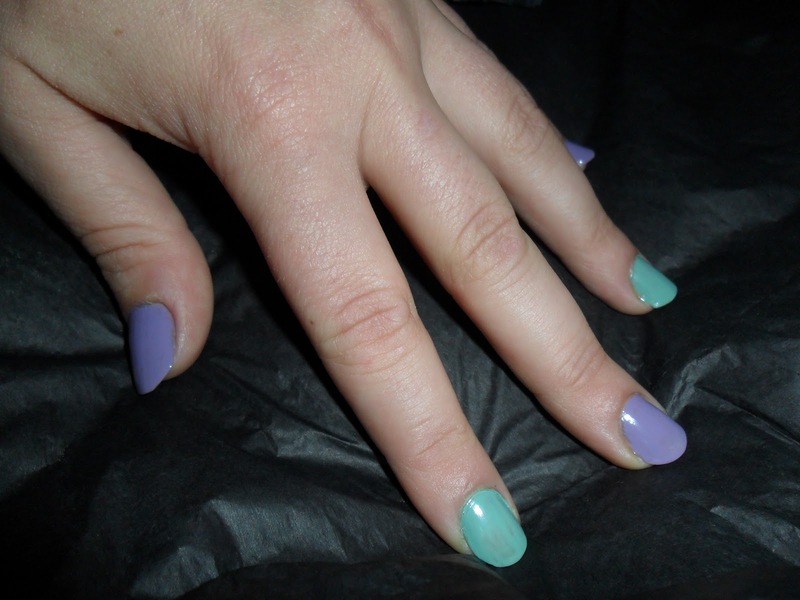 They are both pastel shades and definitely need two coats, Mermaids Tears is the turquoise and Planks Alot the purple. I keep buying and buying too haha! Great shades! I am definitly going to have to stop buying for a while lol!! Urgh tell me about it, i promised i would cut down on nail varnishes cos i counted them and i had 101, but now i've got closer to 110 less than 2 weeks later :( boohooo haha but who cares, their could be more expensive things to be addicted to ;) haha these colours are gorgeous, been thinking about getting these for a while but can't justify it because i already have similar colours!